Today, Troye Sivan unveiled his new video, “Lucky Strike.” It was directed by Emma Westenberg, who helmed Janelle Monáe’s GRAMMY-nominated video “Pynk.” View “Lucky Strike” HERE. Using the YouTube Premiere Page chat feature, Troye was able to connect with fans as they viewed “Lucky Strike” for the first time. He simultaneously went live on Instagram Stories. 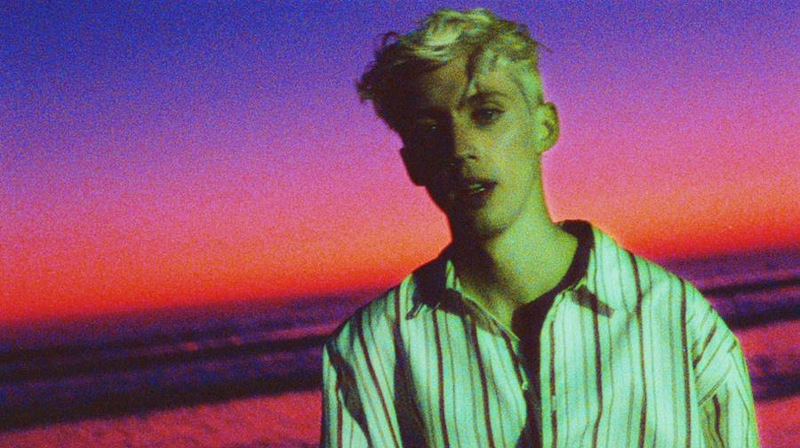 In the lead-up to the video’s premiere, Troye shared teaser clips on Spotify Canvas and across his social media channels. Dropbox (@dropbox) supported the “Lucky Strike” video. Troye, Emma and their team utilized Dropbox and Dropbox Paper to connect and collaborate throughout the entire creative process. They created two short films to document the making of “Lucky Strike.” Through behind-the-scenes footage, candid interviews and insightful coverage of all their planning and decisions, the films allow fans to feel the excitement, risk-taking and joy that the entire team felt creating something fresh and original. The first film will beavailable for viewing beginning Monday, January 14, at 9:00 AM PT at dropbox.com/troye-and-emma. The second will be posted on Wednesday, January 16, at 9:00 AM PT. The track is from Troye’s sophomore album, Bloom (EMI Music Australia), which was named as one of the best albums of 2018 by critics at Rolling Stone, USA Today, Billboard, OUT, PopMatters, TIME, The Guardian and numerous other publications. The album is a global smash, with combined streams already surpassing one billion. Troyeplayed to audiences across North America on the Bloom tour in 2018. The run will take him to Europe, the U.K. and Asia this year. Troye has appeared on the covers of The New York Times Sunday Arts & Leisure section, VMAN, PAPER, Rolling Stone, OUT, Billboard and L’Officiel Hommes. His numerous awards include a Billboard Music Awards trophy, three MTV Europe Music awards and two GLAAD Media wins. “Revelation” – his collaboration with Jónsi for the film Boy Erased, which Troye co-starred in – was nominated for a Golden Globe for Best Original Song – Motion Picture and shortlisted for an Oscar. Mura Masa Self-titled Debut Album Released Today!